Apricots grow really well in my home town, which means they're always easy to find. That also means I'm very picky about them! I like more of a sweet/tart-flavored apricot (Blenheim is my favorite), while I know some prefer the all-sweet variety. Whichever kind floats your boat, you've got to try them like this. Combined with roasted, salted macadamias, sweet coconut, and creamy coconut oil, they taste like little bites of sunshine. So sweet & tasty, while hitting you with a boost of energy from the natural sugars & healthy fats. 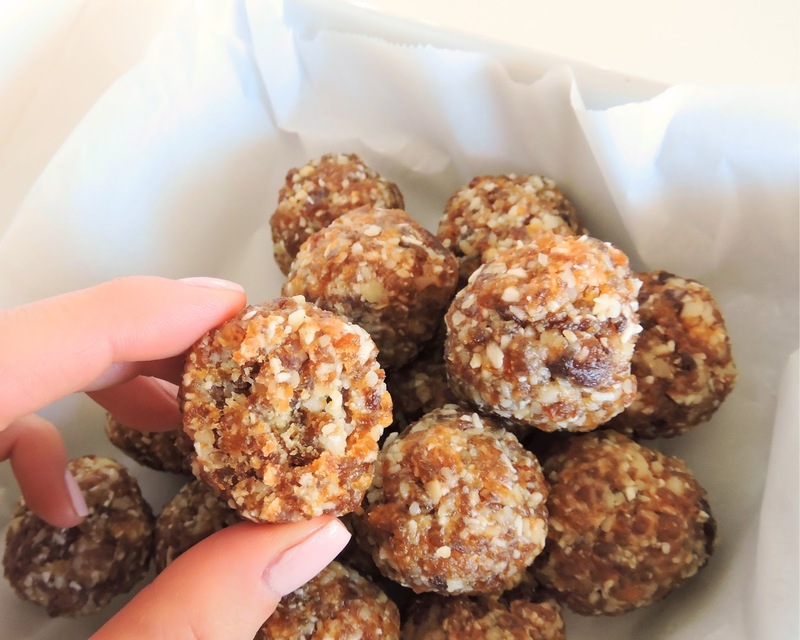 Perfect for serving alongside breakfast, or snacking on before a workout~ these little bites will give you the fuel you need! 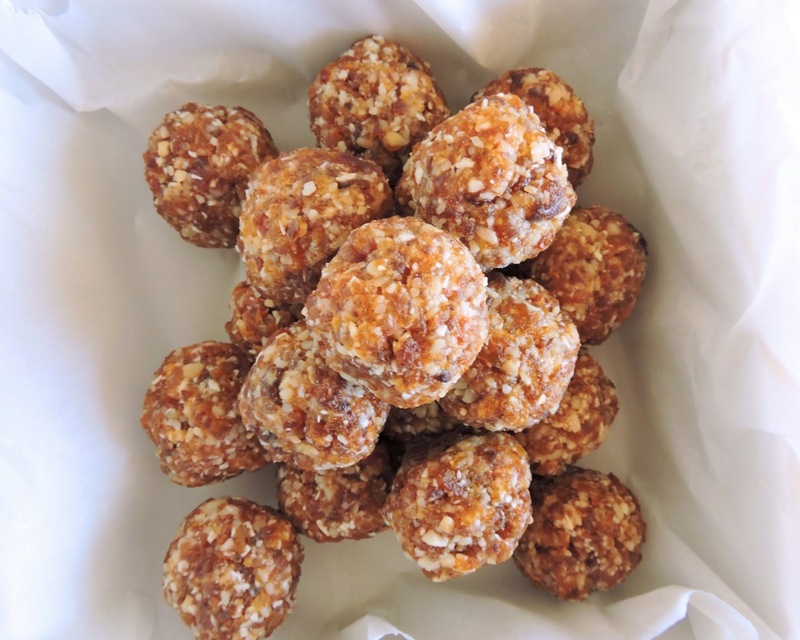 Whip up a batch the next time you get your hands on some dried apricots (I found mine in a huge bag at Costco this time!) and keep it in the fridge. If your house is anything like mine, they won't last long! Makes about a dozen bites. Pulse the apricots in a food processor until they are broken down into small pieces. Add the macadamia nuts, coconut, & coconut oil, and continue to pulse until well combined (it should stick together when pinched with your fingers). Transfer the mixture to a bag or covered bowl, and refrigerate until firm. 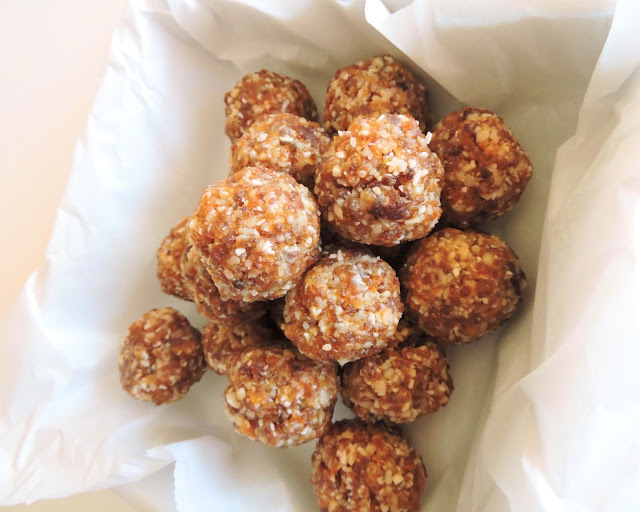 Scoop & roll into bite-sized balls, and store refrigerated in an airtight container. Eat chilled when you're in need of a tasty energy boost! You could easily substitute almonds, cashews or any other favorite nut for the macadamias-- but give it a try if you can! I also buy these at Costco, and the flavor combo is SO perfect. How many bites does this recipe make? Hey there! Recipe makes a dozen. You can size bigger or smaller if you'd like.